Darren Hayes and partner Daniel Jones, collectively known as Savage Garden, released two smash albums- 1997’s self-titled debut and 1999’s Affirmation before their split in 2000. Those who have listened to the Australian duo would agree that their music can be described as ‘adult contemporary’— a tag that applies to George Michael and Elton John. 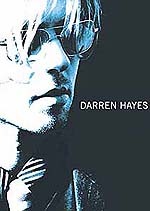 Darren Hayes’ Spin is the long-player musical tonic that goes down easily. Savage Garden sold millions of records by keeping up with the latest trends in pop and unleashing a series of unabashed romantic ballads starting with Truly Madly Deeply, and this time Hayes proposes to do exactly the same, on his own. To achieve this, he has employed Walter Afanasieff, who previously worked with Savage Garden and has handled recordings of such mass-pop acts as Celine Dion and Mariah Carey. The first single, Insatiable, has the sweet, full-bodied sound that Hayes is best known for. Here he showcases his forte: gliding comfortably from his choir-boy voice to a breathy falsetto. The soft rock influences of the Jones era are packed in favour of superbly crafted R&B and pop numbers I Can’t Ever Get Enough Of You and Heart Attack. There is also fusion with tango music in some of the songs like Strange Relationship and Good Enough, while others such as Creepin’ Up On You feature an array of string instruments. One word that would best distinguish between Darren’s solo effort and the previous two albums with Savage Garden is ‘funk’. And for those who think male vocals cannot handle club tracks; checkout Darren’s sizzling hot remixes with dancefloor conquerors Victor Calderone and Pablo Larosa. Specificus Insomnic Mix offers his full pitch vocals, and is sure to become a dancefloor monster. Hayes manages to combine lyrical commentary on social issues and global politics, with catchy melodies in the background. Faster Lover gives an impression of funkier George Michael, while Creepin’ On You sounds like a product from Michael Jackson. Other commendable tracks include Dirty, Like It Or Not and What You Like. With his pop stylings and high, breathy voice Hayes shows he is capable enough to make it spin on his own. London-based composer, producer and musician James Asher has had a long and varied career in the music business — his first single was produced by The Who’s Pete Townsend in 1979. Asher’s first commercial album The Great Wheel topped the English New Age chart for a period of two years and reached as high as No13 on the New Age Billboard chart. His next project Globalarium featured notable world-music artists Joji Hirota nd Hossam Ramzy. The album opened the door to his now famous ‘worldbeat’ style and its theme was adopted by BBC’s The Clothes Show. Asher tapped into the demand for world-flavoured rhythmic sounds, and is one of the few percussionists in the field of New Age who successfully transcends his love for the diverse rhythmic textures of this planet into his music. Released in 1996, Dance Of The Light, James Asher’s follow-up album to his #1 hit Feet In The Soil, is a meditation, a permission for existence to pass through you and to clear you. The album is a celebration of joyful energies centred in the earth. Each track here has an intriguing hybrid chemistry based on its happy collision of cultures, yet the whole album hangs together seamlessly for pure listening pleasure from beginning to end. 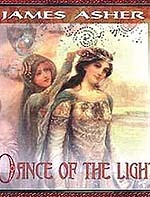 Dance Of The Light’s deeply resonant, divine music is designed to compliment colour therapy and other healing modalities by simultaneously activating and balancing the chakras. The electronic layers of Asher are simultaneously deep and almost weightless. The sounds of bells, piano, violin and trumpet have been combined in such a way that they bring out positive vibes with energising and soothing melodies. The most prominent tracks Peace To All Beings and Dawn At Dev-Aura showcase a spectacular arrangement of varied musical textures. The title says it all. This 14-track-loaded jukebox is a quick primer of what’s going on in contemporary pop circle. 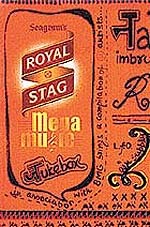 The compilation offers one-stop listening to some of the current biggies in the music world. The jukebox starts its session with the successful boy band Westlife with Seasons In The Sun. The major headliners include Here With Me by the current sensation Dido, Mojive by Right Said Fred, El Foral by Santana, Torn performed by Natalie Imbruglia, Out Of My Bed (Still In My Head) by Gil, Suzy by Fool’s Garden and I Did It by Dave Matthews Band. Pure nostalgia for the generation comes in the form of Broken Wings by Mr Mister and Living Next Door to Alice by Smokie. Since most of the tunes are currently in rotation on music television and modern radio, there are few surprises except, possibly, for the range of music available on one disc. Following the phenomenal success of her R&B fuelled debut album Can’t Take Me Home and 2001 mega hit single Lady Marmalade with Lil’ Kim, Mya, Missy Elliot and Christina Anguilera, the sassy 22-year-old is back with a rock-edged album. M!ssundaztood unveils a stunning new voice on the music scene — a voice of unabashed freedom. On the album, Pink (a.k.a. Alicia Moore) places her vocal chops in the skilled hands of former 4 Non Blondes’ frontwoman Linda Perry. She also collaborates with other prominent co-writers/ producers, including Dallas Austin (TLC, Madonna), Damon Elliott (Bone Thugs N Harmony) and Scott Storch (Dr. Dre, The Roots). The old school analogue M!issundaztood oozes with raw emotion, from the bitter romance of Eventually and Just Like A Pill to the sobbing Family Portrait and Dear Diary. On Misery, a duet with Aerosmith’s Steven Tyler (featuring Bon Jovi’s Richie Sambora on guitar), Pink deploys grit and power. She even co-wrote 11 tracks on the album, and the themes reflect everything from her troubled childhood (Family Portrait) to her move from her native Philadelphia to Hollywood (Gone To California). The record throughout bubbles over with imagination, as hooky pop fillers rub shoulders with glitzy dance anthems like Get The Party Started and the rocking 18 Wheeler. M!ssundaztood captures girlish confusion with greater accuracy and delight than Alanis Morissette’s Jagged Little Pill. As Pink sings on the current hit single Don’t Let Me Get Me: "Tired of being compared to damn Britney Spears/ She’s so pretty, that just ain’t me." Interesting, indeed. Celine’s musical comeback after a two-year break to have son Rene-Charles finds her back in familiar territory. A New Day Has Come isn’t much a departure from 1997’s Let’s Talk About Love; it is similarly loaded with impeccable arrangements and potential hits. The album’s unexpected often low-key production allows Dion to respond in a straightforward way that gracefully skirts the chest thumping of past works. Along with newfound material instincts, the album reveals a more spiritual and edgier Celine. Listen to the lyrics carefully and you’ll hear every line is a thinly disguised ode to motherhood. As she gushes on the uplifting title track (penned by Aldo Nova), "Where there was weakness I’ve found my strength/ All in the eyes of a boy." On the heartfelt Goodbyes (The Saddest Word), Celine sings: "There is no other love like a mother’s love for her child." Ten Days is a moody pop-rocker borrowed from Amanda Marshall, while Sorry For Love is a sweeping house groove, where she shows her willingness to stretch on the classical-house homage. Her versions of At Last and Nature Boy pass muster even if she doesn’t possess enough soul to measure up to the classic versions of Nat King Cole and Etta James. Like her previous album, this one too boasts of A-list producers like Robert John "Mutt" Lange (Shania Twain) and Walter Afanasieff, and song-writing giants Corey Hart, Luc Plamondon and Aldo Nova. I’m Alive and Right In Front Of You are light funky synth-pop that technically appear flawless. There is even a bit of Spanish flippery on the catchy Aun Existe Amor. Celine Dion is one of the very few singers who use songs to show off their voices, rather than voices to show off songs. Every mother will love this. 1. Name the TLC member who recently died in a car accident? 2. Which famous guitarist from a very popular band played the lead part on Bad Company’s song Rock And Roll Fantasy? 3. What was Erykah Badu’s first hit single called? 4. Name the album that features Jeff Beck along with Al Dimeola, John McLaughlin and Sting. 5. From what Mother Love Bone song was the band name Temple Of The Dog derived? 6. Which Pink Floyd song did Catherine Wheel cover on their album? 7. What is the name of Cake’s front man? 8. On Sheryl Crow’s Live From Central Park album, which artist sang with her on If It Makes You Happy? 9. In which famous British sitcom did Suzi Quatro play a nurse? 10.What is the latest album by Goo Goo Dolls called?